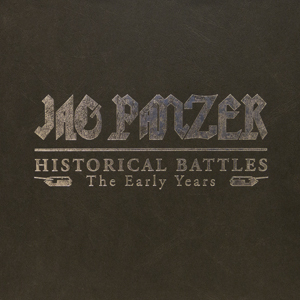 The Historical Battles boxset features special picture disc versions of the albums Tyrants, Ample Destruction, Shadow Thief and Chain of Command. Also included is an 80 page hardbound book documenting the early history of the band. A 16 page booklet featuring many of the band’s early concert posters is also included. The boxset is housed in a heavy duty chrome embossed leather style box.